Firms are declining to operate and declining to build nuclear power plants due to poor financial performance despite the large public benefits, including zero emission electricity, provided by nuclear power plants. As a new administration takes office, there is an opportunity to decide if and how the U.S. nuclear power industry can be saved. In a recent filing at FERC, Illinois ZEC payments are described as state-approved subsidies that represent an existential threat to the organized wholesale markets. Ironically, these ZEC payments were put in place to avoid the existential threat to nuclear power plants operating at a loss in organized wholesale electricity markets. It is also ironic that fossil fuel generators are allowed to emit carbon dioxide with no cost, but consider compensation to nuclear power plants for zero emission electricity as a threat. ZEC payments are one way to help reduce electricity sector carbon emissions. Firms are declining to operate nuclear power plants and declining to invest in new nuclear power plants due to poor financial performance despite the large public benefits, including zero emission electricity, provided by nuclear power plants. A combination of low electricity market prices, a lack of compensation for nuclear power’s significant public benefits, and the U.S. market approach to the electricity industry have led to market failure for U.S. nuclear power. Bloomberg New Energy Finance, Environmental Progress, and others have estimated that many nuclear power plants in the U.S. are experiencing financial losses. Market failure for nuclear power is an issue in all electricity industry approaches in the U.S. Merchant nuclear – Merchant nuclear power plants participate in organized electricity markets. If revenue from selling electricity and capacity into these electricity markets is lower than operating costs for a merchant nuclear power plant, early retirement will stop financial losses. The first nuclear power plant early retirements were merchant nuclear plants (i.e., Kewaunee and Vermont Yankee) and the nuclear units covered by the 2016 New York and Illinois ZEC programs are merchant units. Regulated nuclear – Some nuclear power plants are a part of a regulated utility with operating costs and return on investment recovered in customer rates. Regulated utilities and their regulators usually take a long-term perspective and consider the value of all nuclear power attributes and public benefits, rather than focusing only on short-term rate impact. However, if the cost of operating a nuclear power plant is higher than the cost of purchasing power, the utility or the state electric utility regulator may decide that early retirement of the nuclear power plant will lower rates to customers. 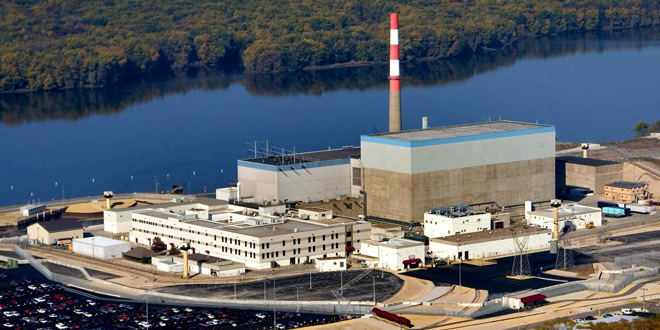 Public power nuclear – Nuclear power plants owned by government utilities, municipal utilities, cooperatives, and other public power utilities recover costs from customers. Like regulated utilities, public power utilities may take a long-term perspective and consider the value of nuclear power attributes and public benefits. However, the 2016 Fort Calhoun early retirement shows that when nuclear operating cost is higher than the cost of purchasing power, early retirement of a nuclear power plant can reduce customer/member rates. There are multiple ways to address the existential threat of market failure for nuclear power. Regulated and public power utilities that own nuclear power plants have recognized the public benefits and other attributes that nuclear power provides and keep nuclear power plants as a part of their generation portfolio. Direct compensation provided by ZEC payments in New York and Illinois have been able to keep some merchant nuclear plants in operation. However, other states (e.g., Vermont and Wisconsin) allowed nuclear power plants to retire early. State approval of a PPA extension for the Duane Arnold nuclear power plant in Iowa helped keep that merchant nuclear plant in operation. Government purchase of nuclear units threatened by early retirement and government investments in new nuclear power plants. Additional revenue for existing nuclear power plants from tax credits, like renewable energy production tax credits, may be a way to keep nuclear power plants profitable. Government purchase of power from nuclear power plants, perhaps through a clean energy mandate for federal power purchases, could provide additional revenue. Putting a carbon tax in place that provides additional revenue to nuclear power plants. The U.S. nuclear power industry faces an existential threat because the U.S. considers nuclear power as just another source of electricity that competes in the market and fails to recognize or compensate nuclear power plants for some electricity system benefits, public benefits, or national strategic benefits. Without government action to keep existing nuclear power plants in operation and to support new nuclear power plants, the U.S. nuclear power industry will die. Filing in FERC Docket No. EL16-49-000 on 9 Jan 2017.